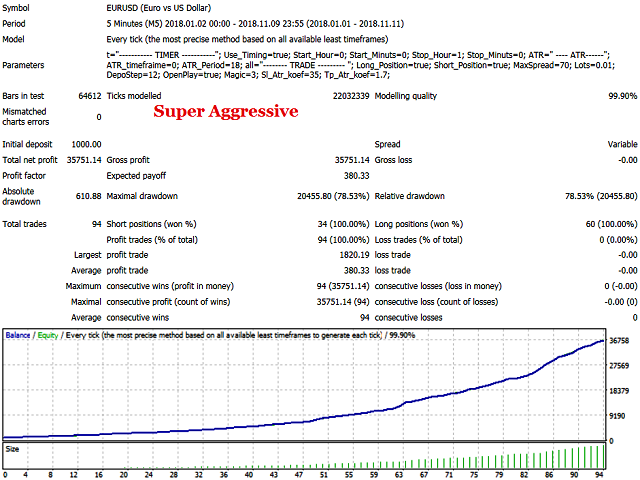 BG Night Sniper is a trading Expert Advisor working on standard mt4 indicators. 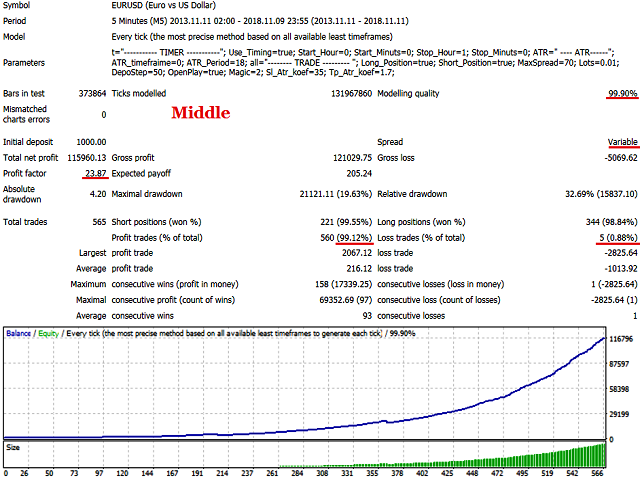 Trade is conducted in at night, low-volatility time. The EA does not trade every day. Inputs are rare, but accurate enough. Sometimes a week can be two or three transactions, and sometimes transactions may not be within two weeks. 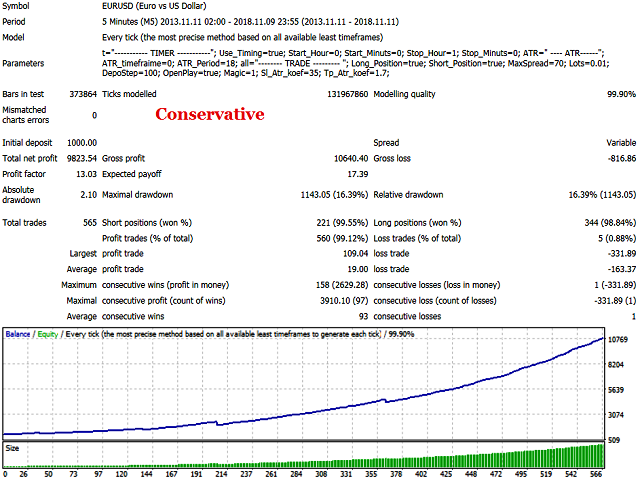 During the strategy testing and optimization, several set files were developed for trading EURUSD pair on the M5 timeframe. The default settings are not for trading!!! All set files will be posted in the comments to the EA. Set files are intended for trading with brokers operating in Eastern European time. The attention of traders there are 4 set file with a different degree of risk. Conservative, middle, aggressive and super aggressive sets. The last set involves a risk per transaction of 100%. It is recommended to withdraw profits constantly. For greater profitability, try to use accounts with a broker with good execution of orders and a small spread.